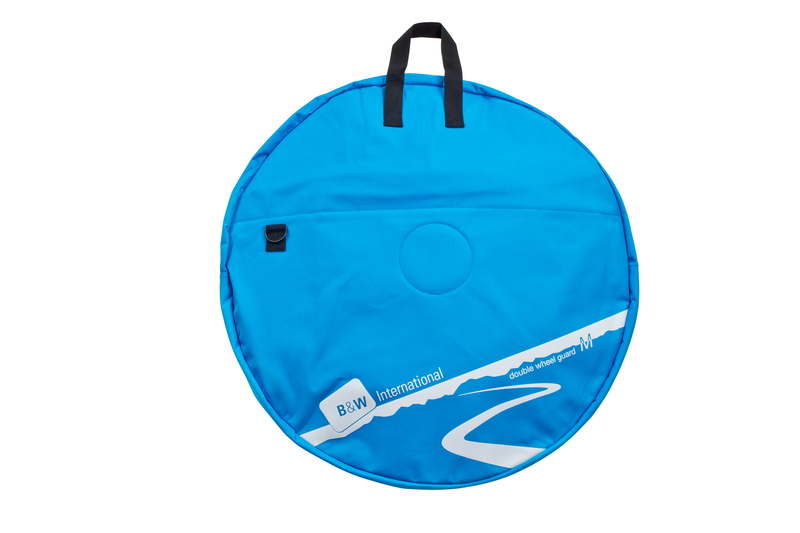 The B&W International 2 Wheel Bag offers a robust storage solution for your bike & accessories. This bag is the perfect companion for keeping your kit safe. B&W Wheel Bag for storing two bike wheels. 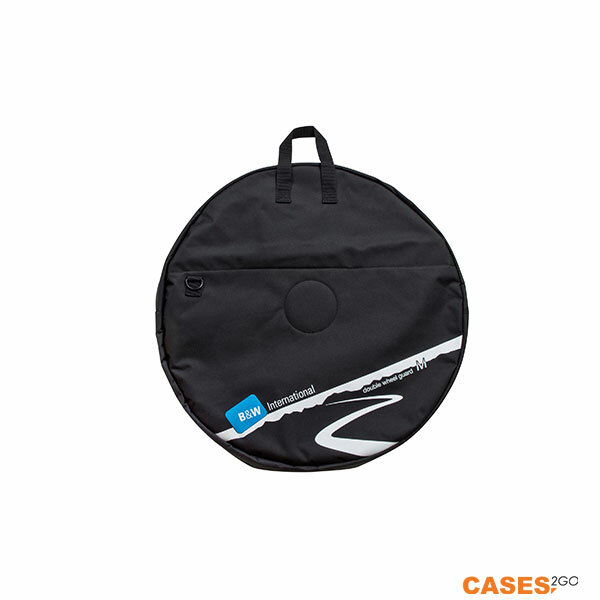 The lined wheel guard is made of highly tear-proof nylon fabric, black. 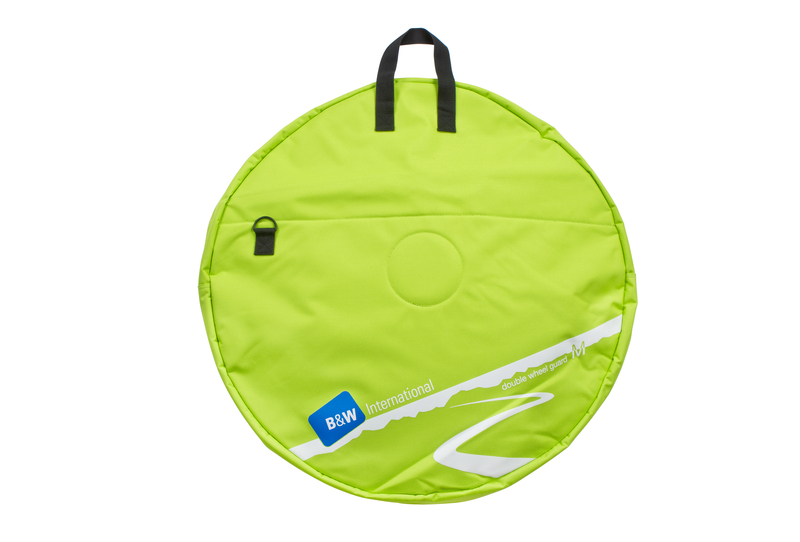 It is suitable for all wheels up to 28″, has a high quality zipper and two carrying loops and shoulder strap for easy transportation. 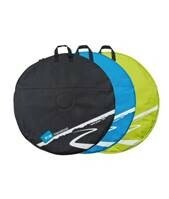 Wheel bag for storing and carrying two bike wheels. Highly tear-proof nylon fabric. 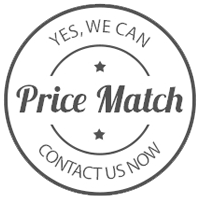 It is suitable for all wheels up to 28″. Cluster protection – extra padding at the axle points.